What Does the ‘Triumph’ of Christianity Really Mean? What does it mean for Christianity to ‘Triumph’? 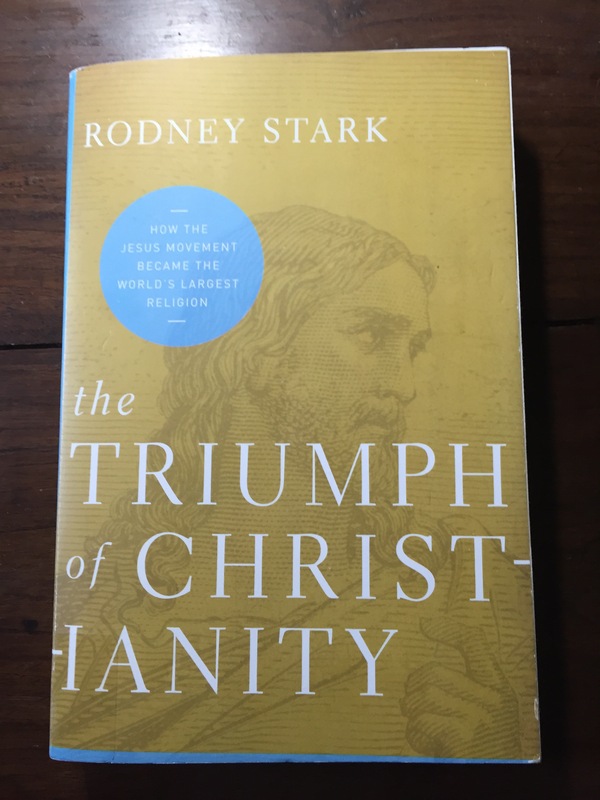 As seen in the photo, this is the title of one of Rodney Stark’s books, The Triumph of Christianity. Actually I’m not taking aim at this historian or even this book. Rodney Stark has had a distinguished career as a sociologist/historian, the last many years at Baylor University in Texas. He has published over 30 books on a variety of subjects including on the early history of Christianity. Prof. Stark brings a combination of penetrating analysis of the sociologist and the careful, cautious eye of the historian. Prof. Stark joins more and more historians West and East in acknowledging the growth of the Asian church in history. It is refreshing to see it! But what does it mean for the Christian faith to ‘triumph’? To be fair to the author, he is describing the deep impact of the faith on the Roman Empire. And yes, there was a deep impact in many areas, including the role of women in society. Areas of cultural transformation that often are overlooked by modern historians, at times dismissive of the positive role of Christian faith on society. When he uses the word ‘triumph’, he is referring in part to the ‘conversion’ to Christianity of the Roman Emperor Constantine in 312. This resulted in the Christian faith becoming the religion of the Empire. But what Stark notes in Chapter 10, and acknowledges has often been overlooked by historians, is that the Christian faith becoming the chosen religion of the Roman Emperor had dire effects for those in the Persian Empire. In the fourth century Christianity was widely spread in Persia, with thousands of believers. Persia and Rome had a mutual hatred for each other, and had fought numerous wars. The Christians in the Persian Empire became caught in a cross-border power game, and a deadly one at that. Massacres resulted, with many more Christians losing their lives on the Persian side than ever did in the Roman arenas. Hmmm, Christians being caught in the middle of imperial and geo-political power confrontations, sound familiar? As I’ve written in other blog posts, ‘Imperial Christianity’ as propagated by Constantine, and with similar forms today, can be much more about power and ‘triumph’ than about the Cross. As I may have related before, when I was writing my doctoral thesis on the Church of the East in Asia, a fellow student had a comment. He said, ‘why are you studying a Church that only ended up failing in history?’There was a lot behind that comment, including a presupposition that success and triumph is the measure of whether a movement should even be written about. Aren’t failures best left unmentioned? Yet the Cross of Jesus Christ, and resulting Resurrection, is central to the Christian faith. Isn’t it true that our greatest failures can often have seeds of actually the greatest ‘triumphs’? The Church of the East was a suffering Church. It still is today. There isn’t much ‘triumph’ about it. Yet the seeds of the Gospel, and faithfulness to walk in the way of the Crucified Lord, continues to be just as powerful today as it was for those Persian martyrs of 330 A.D.
Next Post From Egypt to India in the 2nd Century A.D.